Because I love family history, I often find (surprise!) that conversations with others turn to this topic. From time to time, people say — either with regret or relief — that their family history is “all done,” particularly if they go back through pioneer lines or have been told they link into royalty. As mentioned in the last column, descendancy research starts the same way as traditional or ancestral research: you trace a line back, going from yourself to your parent, grandparent, great-grandparent, and so on. Here are simple steps and tips for doing descendancy research. They’ll help you avoid common mistakes, such as doing descendancy research on a branch that isn’t really in your family. 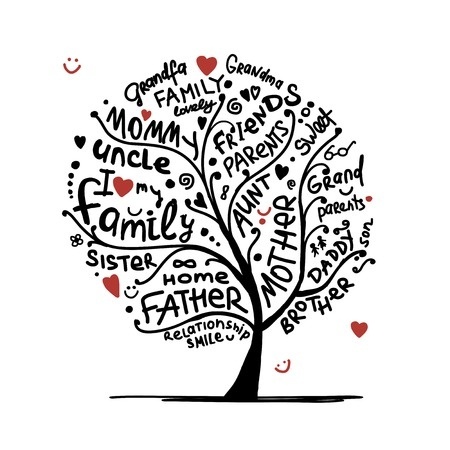 Step 1: On one of your lines in Family Tree, choose a set of parents several generations back from you (usually between 4 and 7) to serve as the starting point. Pray for guidance and be open to inspiration. Choose a couple who lived within the time frame in which good quality records are available (usually late 1700s — early 1800s). Step 2: Verify your line from you back to that point. As mentioned in earlier columns, the data in Family Tree comes from a variety of sources which vary in quality from perfect to poor. So more than likely you’ll find mistakes to clean up along the way. Some of these mistakes may lead you to people who aren’t really your relatives. So it’s worthwhile to correct these mistakes before you spend a lot of time researching a line that isn’t really yours. It’s also likely that you’ll find additional names for temple work — a forgotten child who died between censuses, or perhaps a second spouse. And sometimes people do most of the ordinances but forget to have a final sealing done. Step 3: Trace the lines forward systematically. Choose a strategy for your research — for example, first born and all descendants, second born and all descendants, and so on. Don’t just skip around between family members, because your efforts (and your brain) will turn into a bowl of spaghetti pretty quickly. Focus on one nuclear family (parents and their children) at a time. Make a reasonable effort to find available records for that family — usually at least census, birth, and marriage records. Use a research log to track your findings. This FamilySearch wiki article explains a simple, easy-to-use research log called the timeline grid. You can find other types of research logs online. Find one that works for you, and use it. You’ll avoid rework and confusion galore. Step 4: Enter missing names in Family Tree and clear them for temple work. After gathering and recording information, compare what you’ve found to the information in Family Tree. Add missing individuals one at a time, carefully checking for duplicates, and adding sources. If individuals are shy of the 110-year deadline, consider putting them on a calendar for future temple work. For a more complete explanation of descendancy research, see this presentation. So if you’ve felt like you were missing out because your family history is “all done,” take another look. You may find a rich harvest through descendancy research. *Per Church policy, we should not do temple work for those born less than 110 years ago (i.e., after today’s date in 1905) unless we are one of the closest living relatives or have permission of one of the closest living relatives — defined as an undivorced spouse, a child, a parent, or a sibling.